I have a BIG surprise for you today!! 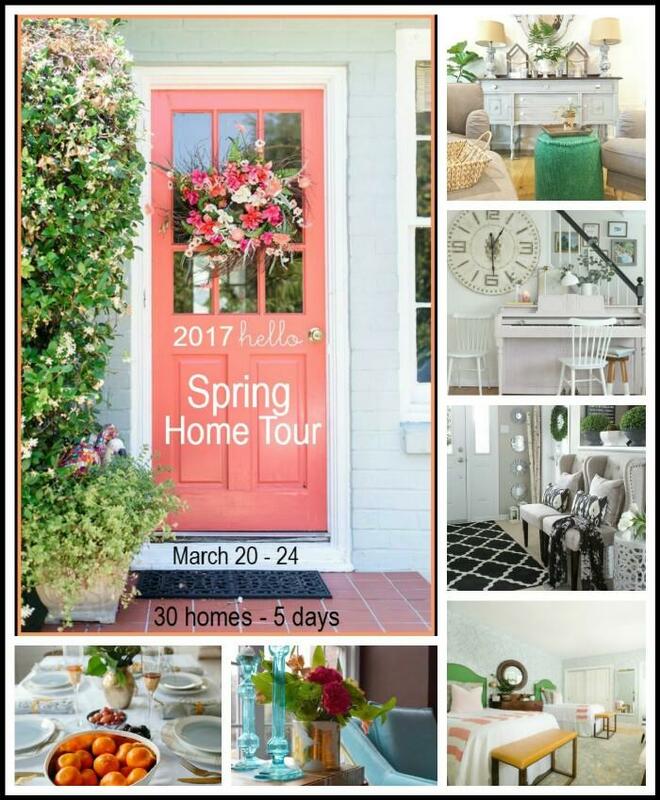 With Spring officially hitting the calendar today myself and some of my blogger friends are sharing our Spring homes with you to celebrate the season! 30 Gorgeous Spring home tours over 5 days! Yay!! 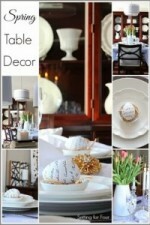 There will be lots of spring decor ideas for every room of the house – you won’t be disappointed! 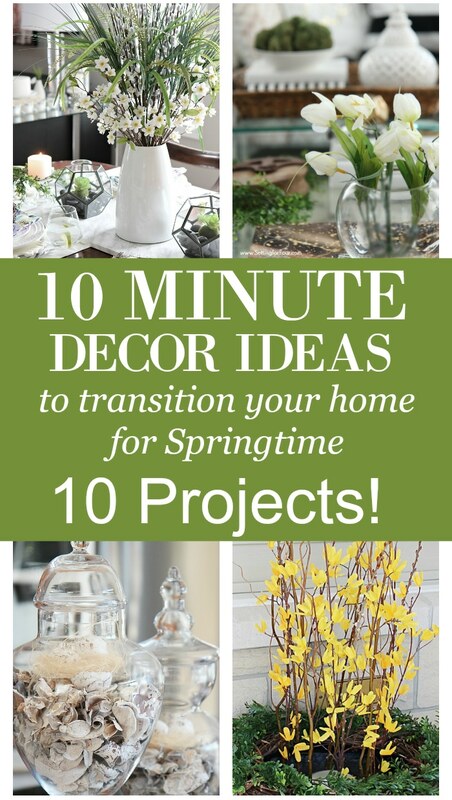 This is a great way to get some new ideas for your spaces and see how design bloggers have transformed their homes with flowers and spring color. 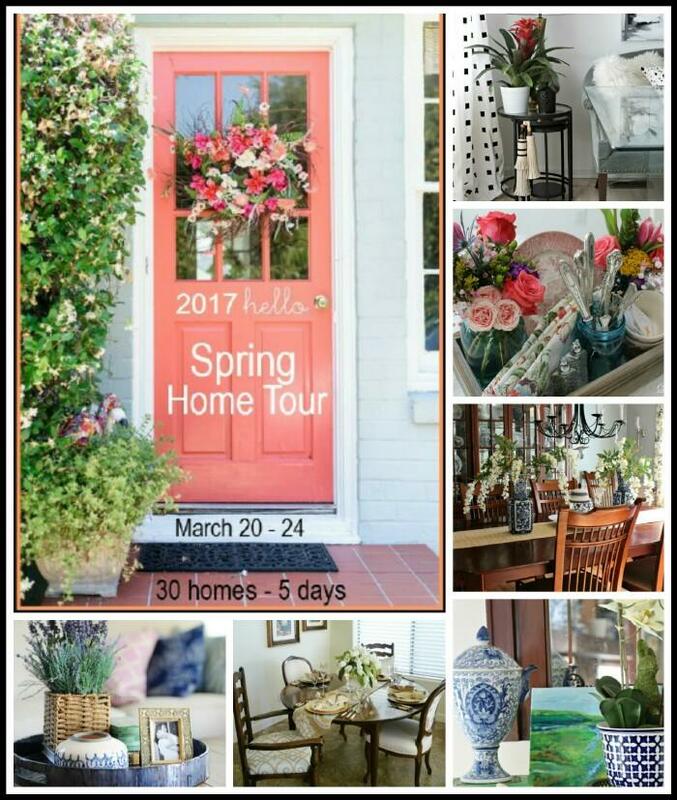 Grab a cup of coffee and hop on over to visit my friends Spring Home Tours today- 6 in all! 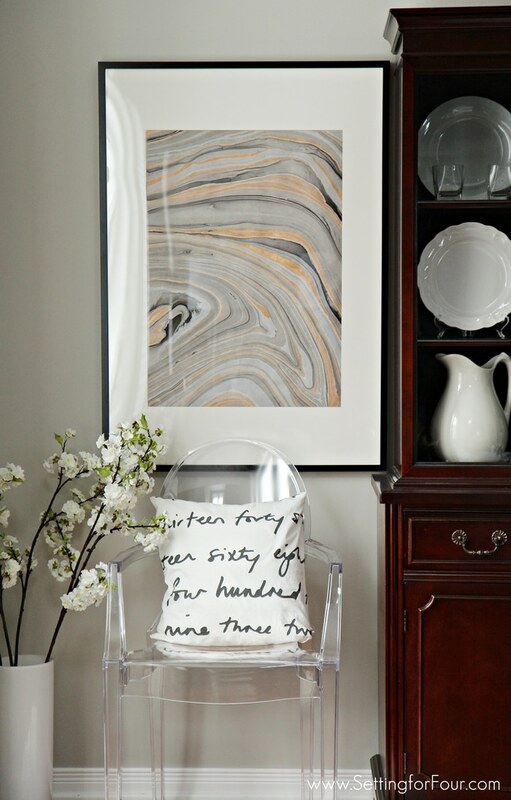 I guarantee you’ll find loads and loads of fresh Spring decor inspiration for your home! 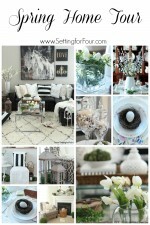 My ‘Burst of Beautiful’ Spring Home Tour is tomorrow so don’t miss it! 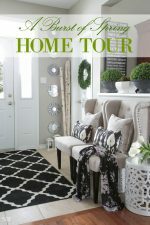 I always enjoy the seasonal and holiday home tours as there’s always so much inspiration.